Today was suppose to be a very BIG day for Miss Addison. She was finally going to be discharged home from the NICU but that is not going to happen. I'm sharing about a very special family. This is not my typical type of post but hopefully that will show you how much this means to me. Please don't click away. . . take 5 minutes and read about beautiful Addison and if you can spare a few more minutes after that pray for her. Let me tell you more about her and her parents. 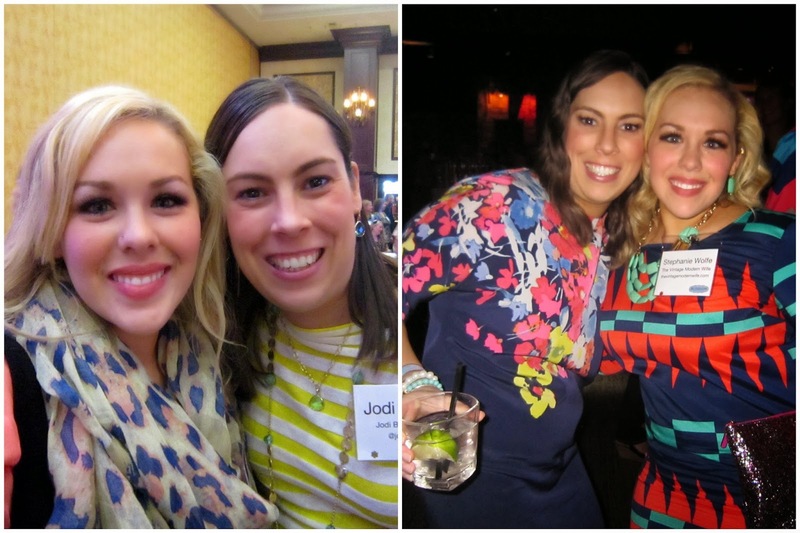 Last year at BlissDom I had the opportunity to meet Stephanie who blogs at Vintage Modern Wife. She is an amazing woman with such a huge heart. When I learned that she and her husband Mathew were pregnant I was so happy for them. Unfortunately, during Stephanie's pregnancy she had some complications and learned that baby Addison would need surgery soon after she was born to remove a SCT. While they were prepared for that (as prepared as you can be) they were not prepared for all of the other bumps in the road and there have been many! 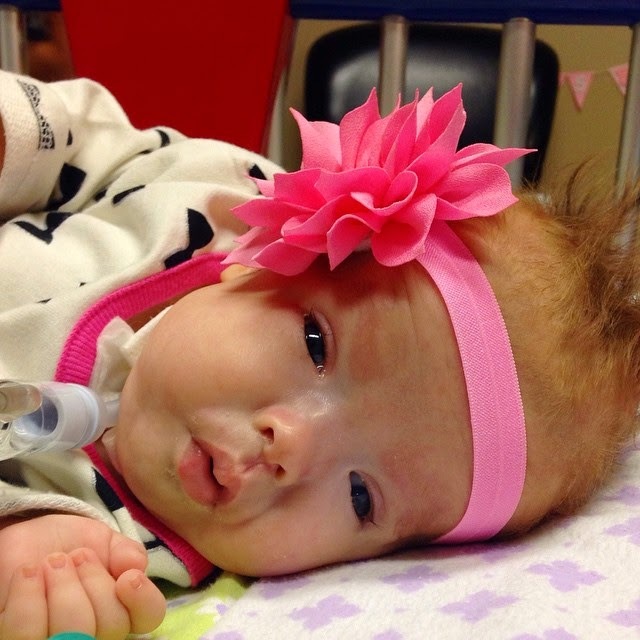 Addison was born on September 26, 2014 and she has spent all of her days living in the NICU. 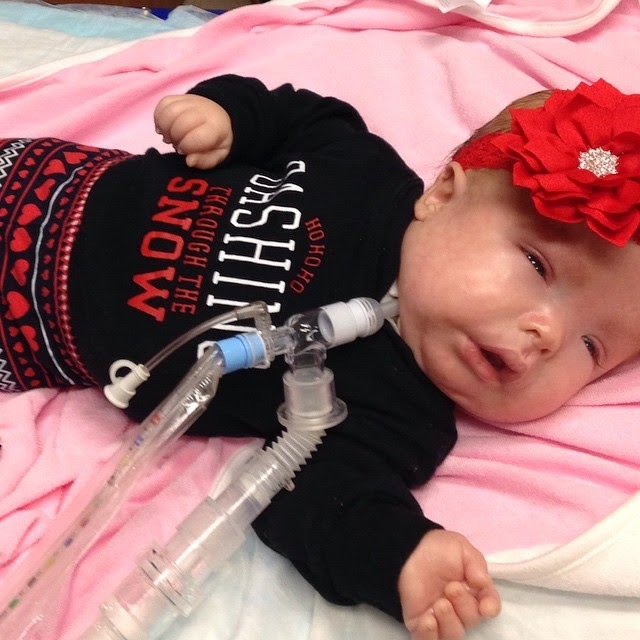 She was intubated for the first couple of months of her life until she received a trach. Can you imagine not being able to see your baby's lips or face without tape and tubes?! 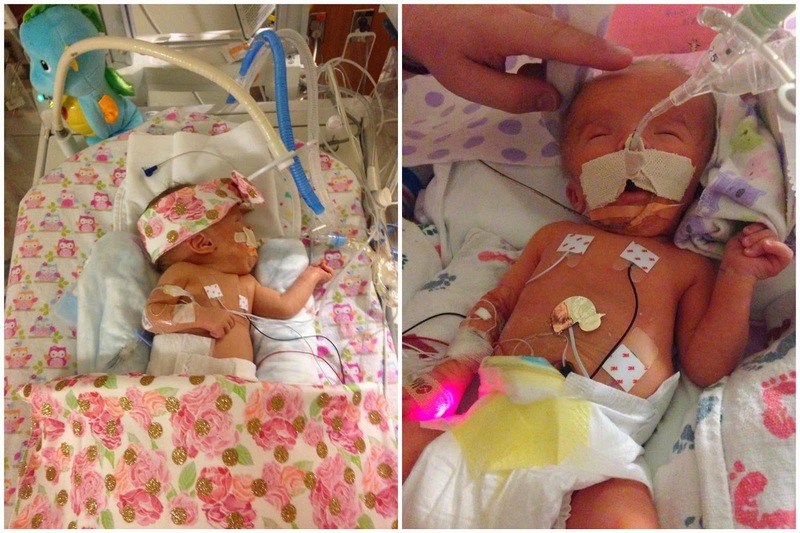 Addison has spent all of her "First" holidays in the NICU. 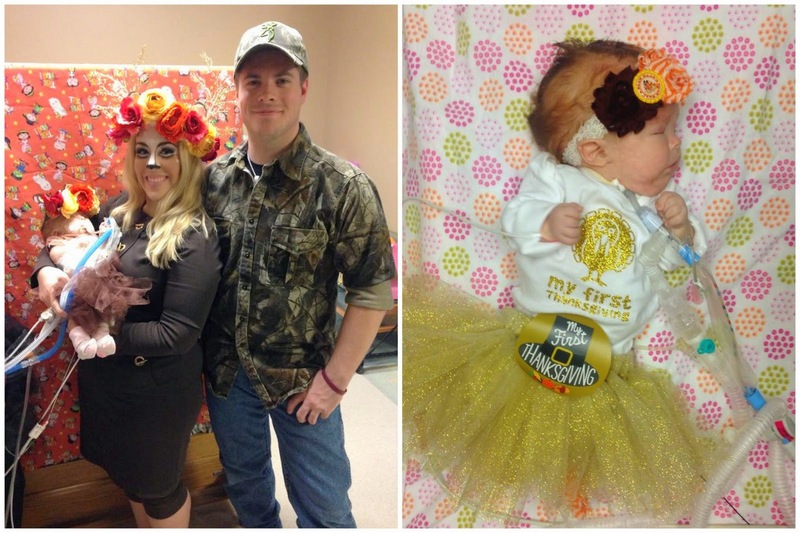 Despite it her parents have made the best of it with adorable Halloween costumes and Thanksgiving tutus! In addition to the SCT removal surgery Addison has had a PDA Ligation surgery (cardiac surgery), received a trach and a feeding tube (peg tube). Then just this weekend Stephanie and Matthew were told that Addison will need to have another surgery. She has Pulmonary Valve Stenosis and will need surgery to correct it. Not only that but the hospital they have been in since Addison's birth does not do it so they will need to transfer to Texas Children's Hospital which is several hours from their home. So instead of going home today Addison is facing another hurdle. This little baby has been a fighter since before she was even born. She has had her unfair share of hurdles and more to come. Through it all her parents have had so much faith. I hardly ever see Stephanie complain. Instead her updates on social media are so positive and grateful. She has such a strong faith! I'm so sad for Stephanie and wish I could do more to help. I figured the least I could do was share Addison's story in hopes that it could help in some way. Let's all pray for a miracle that Addison can still get home for Christmas and won't need to spend another holiday in the NICU! 2. 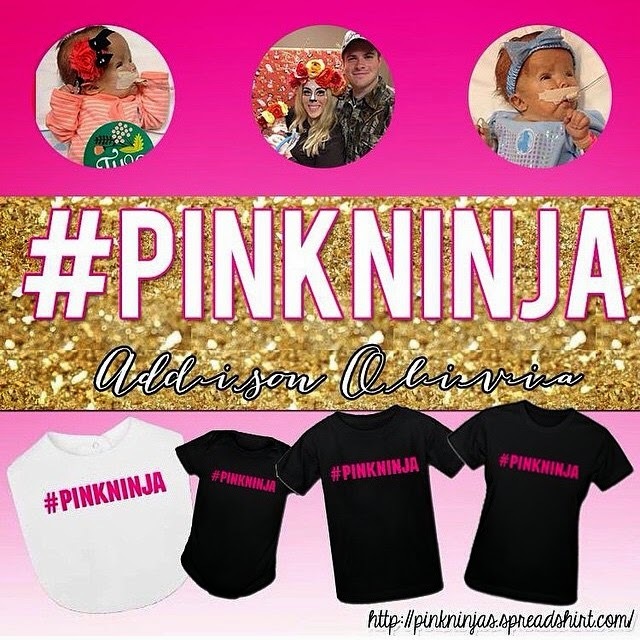 Buy a #PINKNINJA shirt here. 3. 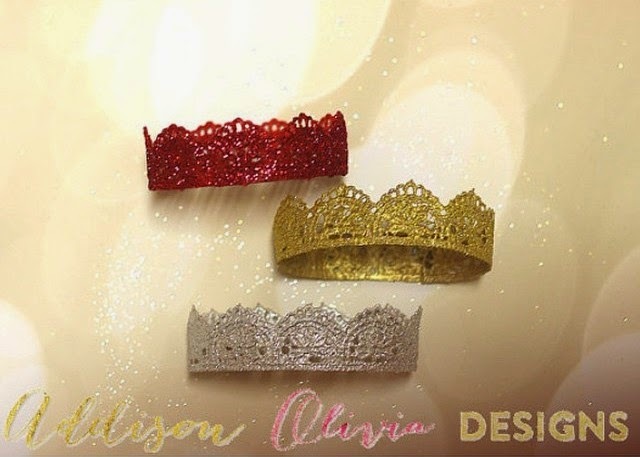 Buy something at Stephanie's Etsy shop, Addison Olivia Designs, here. 4. Make a donation at Addison's gofundme page here. You can follow Addison's journey on Instagram and Facebook. Linking up for Monday Morning Gossip and Let It Shine! Praying for this sweet baby this morning! Just said a prayer for baby Addison and her loving family. Prayers for that sweet baby.